CrossWired Science is unlike any science program that I’ve used before. We had the unique opportunity to review this program while it was still in development. 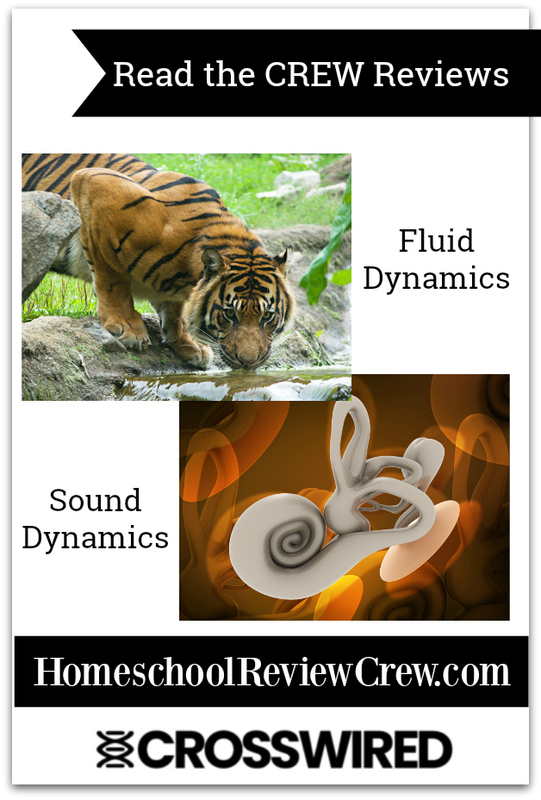 I had the privilege of reviewing the Sound, and Fluid Dynamics projects. Typically, the programs I review are completed and on the market. Reviewing a program that was still ‘under construction’ was a very different experience. There were times when it could be frustrating because a quiz might not be ready or the schedules were not published. However, the really neat part about reviewing a product that was not fully complete is that the Review Crew was able to give feedback as we worked through the projects. The folks at CrossWired Science were very receptive to feedback and made a lot of great additions to the program during just the few weeks that we worked through it. One of my favorite additions that they made during the review period was a suggested schedule. I think that the schedule really helped me to get a better idea of how to plan this curriculum into our school days. I felt very overwhelmed when we first started using the program because there was so much information. Once I had the schedule it made it a lot easier for me to understand how to best utilize all they had to offer. We focused on the Fluid Dynamics project which covered a variety of topics including rocket aerodynamics, fin types, avian lungs, bird feathers, flight, insect drinking and the space station. The Sounds project includes topics like how ears work, sonars, ultrasounds, and bird songs. The program has a variety of components. My children really enjoyed the core video lessons and the included quiz that was completed and graded online. This was beneficial to me as a parent because it allowed me to check and be sure they understood what they were learning. Next, they have the Digging Deeper and Gold Dig components. As they state on the website, “The Digging Deepers and the Gold Digs are heavily illustrated with fun, beauty and quite stunning “concept pictures”.” These were a great way to go deeper and learn more about a particular part of a concept. My children went through the Gold Dig components about bones and learned a lot of interesting information. In addition, there are research links to help them dig further into a variety of topics, field trip ideas. At this point the field trip ideas are mostly general science field trips but they are developing this section with more specifics. Throughout the curriculum, they point science back to God, but they also have specific devotionals included at the end of each project. They also offer suggestions for books, audio CDs and other materials to extend your studies as well as other science activities. They give a wide selection of experiments that you can choose from to go with the related topic. The program offers a wide variety of information and opportunities from which to choose from, much like a buffet line. For some folks this is great, because you can pick and choose what you want to learn and leave out what doesn’t interest you or work for you. However, for others, it maybe a little overwhelming and a little too disconnected. If you want a program that gives you a script and walks you through every step, this probably is not the right fit. However, if you want a program that gives you lots of resources and tools and then allows you the flexibility to use it how your child works best, this could be a very good fit for your family. I even see this as a great resource for unschoolers, because it would be very easy for a child to just go to the site and spend time learning and digging into the topics of interest. Right now they only have the two projects that I reviewed, however, they are adding more daily and will eventually have twenty-four of those projects. They even have plans to take the first two even deeper. Their long-term goal is to provide a curriculum that will cover all of science from pre-kindergarten through chemistry.
. While I struggled a bit with the variety that was offered, my children really enjoyed having lots of choices. They are hoping to complete the other project over the summer in their own time. I suggest going to the website and taking a look to see if it might be a good fit for your family. They even have a sample unit available. As an added bonus, CrossWired Science is generously offering my readers a $5 discount. Just go to CrossWired Science and use the code: dp18. Be sure to click below and check out the reviews from other Crew members. Sometimes my children complain about school work, but other times they beg to be able to work on it! I am so glad I took the opportunity to review the Stop Motion Animation Kit by Stopmotion Explosion because my son has loved it. He begs to have more time to work on videos and has multiple videos planned out that he wants to create. I expect that it will be a big project for him this summer when we have a bit more free time. Since this was not a subject that I require in our home school, I asked my son if he was interested before agreeing to the review. It seemed like a really good fit, because it was a way for him to combine his love of all things Lego with a new found interest in videography. I expected to have to help him get everything set up and figure out how to use the program and the camera, but he took it out and had it set up in just a short time. 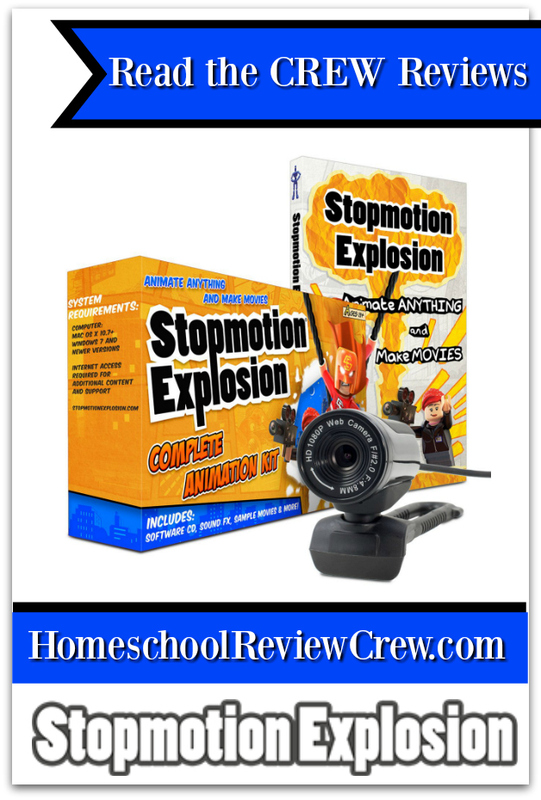 The Stop Motion Animation Kit includes a 1080p HD video camera with internal microphone, the Stopmotion Explosion book, and the animation software. Once my son had everything set up he quickly worked on a short video just to get the hang of taking pictures and putting it all together. Then I gave him a specific assignment for this next project. I wanted him to combine his history lesson for the week with a stop motion video. We were working on Assyrian siege towers and so he decided to do a video of the modernization of an Assyrian siege tower and the tower knocking down a wall. He was able to get all of the video shots (over 2,000) done without any problems but was having some difficulty uploading them into the software for editing and adding sound. I e-mailed customer service and was pleasantly surprised and the rapid response. They were exceptionally helpful. Once we realized that he had a corrupt photo file, we were able to delete that one file and get it all working. Next, he added title screens and sound effects. The Stopmotion Explosion book has an excellent chapter that explains how to edit and add sound effects. My son learned the hard way that its best to read it before trying to make changes. He did not read it at first and made a mistake that lost all of his changes. Once he read, he understood what he had done and was able to do it correctly next time. The Stopmotion Explosion book was an excellent resource. It was laid out with each step being a different chapter. It was easy to read and understand and did not have to be read all the way through to be helpful. My son was able to read the chapters that he needed as he worked through the project. For example, one chapter is dedicated to lighting, and other to sound. The chapters on video editing and Sound were particularly helpful as he finished up his project. The book also gives links to video tutorials with more information on certain subjects. This was a well laid out and easy to follow way to learn the art of stop motion animation. The book and video tutorials were thorough enough to take someone that had never done stop motion and teach them how to make movies with many great features. All in all, I highly recommend this kit and I’m so glad we gave it a try. 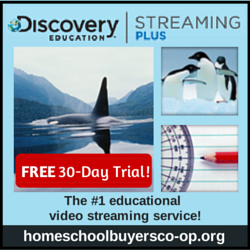 If you are looking for a way to add some fun to your homeschool this might be your answer. You could have a child make videos about the books they are reading, the history they are learning or even their science. It can of course also just be a fun hobby, they can make videos about anything. For a middle grades student it is laid out in such a way that as long as they read the book, they should be able to work with the program fairly independently. With the exception of a computer and whatever they want to use in the video (we did Legos and Popsicle sticks) everything they need is included in the kit. This would make a great birthday gift or a way to keep the learning going through the summer. Check out the Stop Motion Animation Kit and don’t forget to click below to see the videos and reviews done by the other Crew members. Some days I’m really excited about preparing my son for high school and college; other days I’m in denial about how rapidly that season is approaching. We started our homeschool journey when my oldest son began first grade and he is now finishing seventh grade. 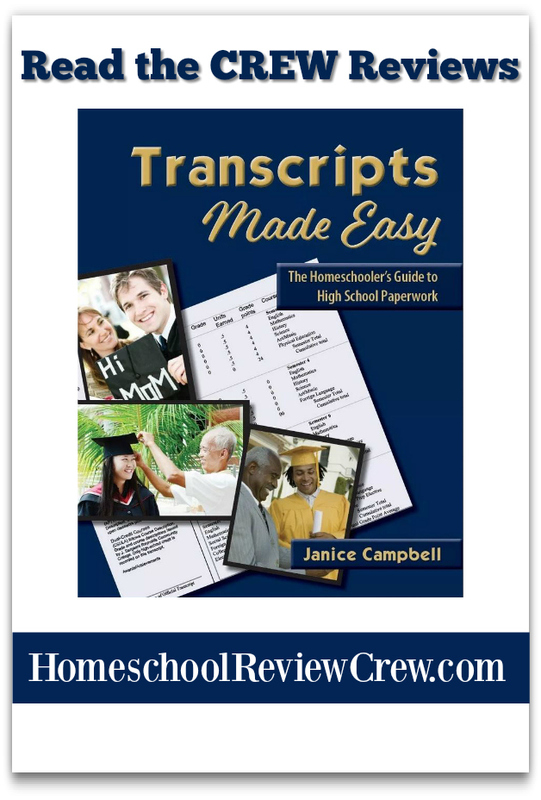 My first thought when the review for Transcripts Made Easy: The Homeschooler’s Guide to High-School Paperwork by Janice Campbell became available was that the review would not apply to me since I did not have a high school student. Then I quickly realized that with my son taking Algebra in eighth grade next year I would need to decide how I was going to do his transcript. I had never heard of Everyday Education but a quick look around their website showed me that they had a lot to offer and I was excited to read the book. We reviewed a digital copy of the book but my need to highlight gets the best of me and so I printed out the pages so that I could hold them in my hands and highlight things that I found interesting or important. I like to read in bed at night before I go to sleep but I was a little worried that this material might be too dense for bedtime reading. However, I was pleasantly surprised. Though there is a lot of information, the author’s style of writing made for easy reading. 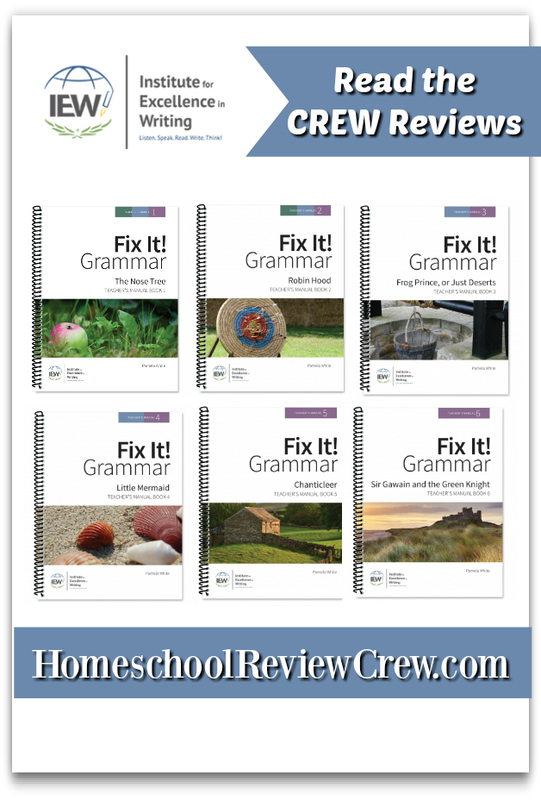 Based on the title, Transcripts Made Easy: The Homeschooler’s Guide to High-School Paperwork, I was expecting information on how to make a transcript, forms, and recording keeping. While all of that is included, I was pleasantly surprised at how much more was packed into this book. The book goes through the planning process for high school and helps you decide what classes your student needs to study, skills and habits that they need to cultivate, various ways that you can schedule high school courses, college alternatives, special needs considerations, and how to document life experiences. I read the book through in just a couple of days, highlighting as I went along, but I plan to go back and reference this book again and again as we plan for and work our way through high school. I really appreciated the fact that the book was trying to present a one-size fits all answer to our students. For example, when she talked about scheduling high school courses she gave six different schedule examples. 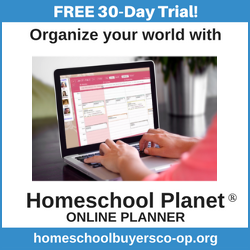 Some of those, like college-style schedule and year round schooling, were familiar to me but there were others like sequential scheduling and the one-subject plan that were new concepts for me. After reading over our options, my husband and I are discussing the pros and cons of various methods to help us decide on a plan for my son. The book also talks about how to document life experiences and skills. For example, Campbell shares how you could document work done on a family farm or time spent learning to create a web page. I highlighted that quote in my book because we highly regard those life experiences I really appreciated that they could be used for part of his high school courses. She goes further into detail in the book as to how to document those experiences. 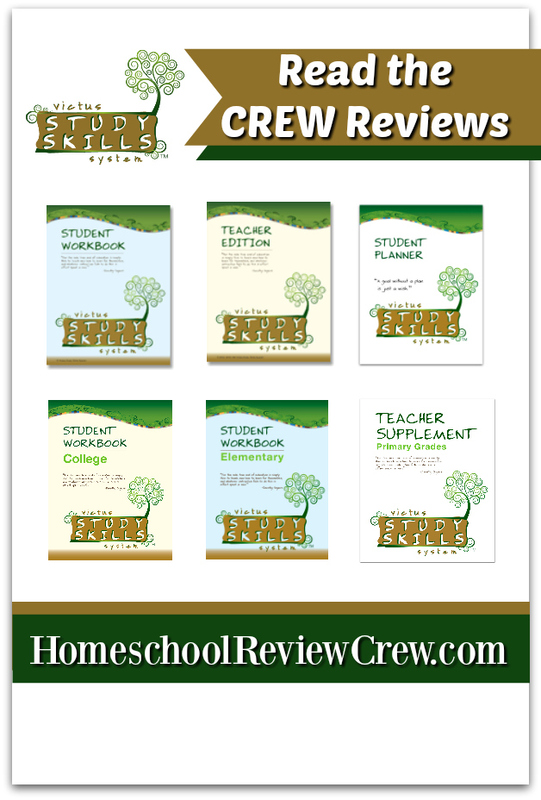 The books goes over grading, how to grade, what to grade, and even how to write a transcript for those that are using the unschooling method for high school. She did not give one right formula but lots of examples and options that you can use to make it work for your family and still have an honest transcript. Then at the end after having worked through planning high school, keeping records, grading, preparing for college or non-college options, there are multiple examples of transcripts and other record keeping forms. She gives blank copies of the forms in the back as well as detailed instructions for creating those forms in a word processing program. She even gives examples and help with diplomas. The final portion of the book is a glossary of important terms, a book list for parents, and a list of websites and resources that can are helpful for planning and learning. I had read several of the books, but I’m looking forward to checking out a couple of the ones with which I was not familiar. All in all, I think Transcripts Made Easy: The Homeschooler’s Guide to High-School Paperwork is a great resource for middle school and high school parents. This book can help you prepare for high school or if your student is already in high school it can help you get your records and forms together for college or whatever experiences your student is preparing for after high school. Check it out over at Everyday Education and don’t forget to check out what other Crew members thought about this book. 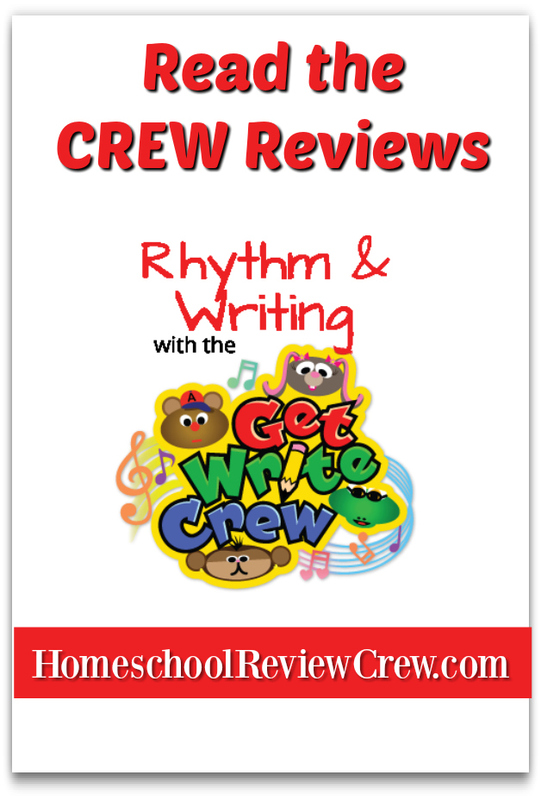 My four year old had been wanting to learn to write more than just B (the first letter in his name) and this review of Rhythm & Writing with the Get Write Crew came at just the right time. Rhythm & Writing has created a cute program of videos, stories, and practice to help young children learn to write. I was excited to find out that it was created by an occupational therapist who knew and understood the importance of fine motor skills in handwriting. When we first got the package in my son had an opportunity to take a ‘pre-test’ where he copied words to get an idea of what he already knew. This would be especially beneficial for a child that had learned some of his letters and just needed to work on trouble spots. I was excited to be able to have it to compare his progress. If your child already had mastery of some of the letters you could skip through those and only focus on the ones that needed work. Since my son only really knew the letter B, we decided to start at the beginning and work our way through the book. The book covers both the upper and lower case of each letter, but not at the same time. There is a song/rap for each set of letters to help you remember how to form them. If I’m being honest, I was not a huge fan of the raps but my son LOVED them. He wanted to watch the videos over and over again and I think they helped him learn to write. Their effectiveness made up for the fact that I didn’t enjoy listening to them. The videos feature the same characters as the story in the book: “Big Country” Guitar, “Hip Hop” Lyricist, “Mo Rock” Drums, and “Jazzy Faith” Keyboard and Vocals. You can even listen to a sample on the website. The rhymes that help them remember how to write the letter are simple but effective. For example, letter V was down stop, up stop. Capital H is long line down jump out, long line down and across. Those combined with the songs and the practice made it easy to master the letters. Sometimes you just need to ‘do school’ outside. One of my favorite parts of this program is that they sent a transparency with the workbook so that a child could practice as many times as needed to gain mastery. As a four year old my son is still working on those fine motor skills needed for writing letters and requires quite a bit of practice. If he had done the workbook page without the transparency he would have been unable to keep working on it until he had it mastered. Once you feel they have mastery, you can remove the transparency and allow them to write on the actual page. After practicing with the marker and transparency for a couple of days, he did the worksheet in pencil. My son also enjoyed that there was a picture he could color on each page. The pictures add visual interest for the student but also give them a little extra fine motor skills practice. We moved slowly through the program, averaging a letter or two a week because of my son’s age and developing motor skills. If I tried to do too much, he would get frustrated and not do his best work. I had to remember that it takes a lot of focus and work for young hands to form the letters. If you were working with an older student or one who was just missing some of the letters the program could be done at a faster speed. Same robe, different hair cut, different day.. more letter practice. Overall, I think Rhythm & Writing with the Get Write Crew is a creative and effective way to teach handwriting skills. The videos and story make it fun, the transparency and catchy rhymes allow for plenty of practice and make proper formation easier. We plan to continue using this with my son until he reaches mastery of all of the letters. Make sure you click below to check out the experiences of the other Crew members. Can I be honest with you for a minute? We love science in this house, but our formal science program had fallen to the wayside this year due to other life events. I really wanted to get some science going again but knew that right now I just couldn’t tackle our regular program. I knew that my personality would not do well with just doing part of a textbook and I didn’t have time to complete an entire textbook between March and May. I didn’t want to be doing school all summer, but I didn’t want to ignore science completely. The STEM Activities, Full Year of Challenges with Close Reading from Tied 2 Teaching offered just the solution I had been looking for. While this is a full year of challenges, each challenge stands on it’s on which means I do not feel like I have to complete all of the challenges or do them in any particular order. Many of them are designed around monthly themes. For example, there is a Leprechaun trap as one of the March activities and a spider web activity for October. They do download with each activity as a separate PDF, so if you want to use them thematically, you need to look at the list on the website. If I was going to be using them thematically I would probably separate them into monthly folders on my computer to make them easier to find. I love that aside from finding a few fairly readily available supplies, these were very open and go activities. The supplies consisted of things like marshmallows, toothpicks, recycled materials, building blocks (we used Legos), a card deck, and dried cranberries. Aside from the fact that we ran out of toothpicks after a couple of challenges I did not have to buy any materials to complete the challenges that we have tried. I could print off the sheets, make sure we had the supplies, and hand the papers over to my children to work through the challenge. We utilized the challenges in a several ways. Some of them I had my 12 and 11 year olds work through together, some I had both of them do the challenge individually, and then I was also able to do some of them individually based on interests. Each challenge starts with a reading passage. I chose to copy and paste those into a word document and print them out, but they can be accessed through a QR code on the paper or linking on the computer. Once the students have read the passage, they answer some comprehension questions about the passage. Then they are issued a related STEM challenge. There are several different forms included in the package that can be used for planning and commenting their work. There are also follow up questions to help them reflect on what they learned and explore the topic more in depth.The challenges tend to be fairly open ended and allow for a lot of creativity and not necessarily a right/wrong answer. I found that most of them could be completed from start to finish in about an hour. This varied somewhat depending on how focused my children were and how much time they wanted to spend working on different ideas and variations. For example, they had multiple ideas for the spider web and so it took them a little longer as they tested out several theories. The Lego flags that they made did not take as long because they knew exactly what they wanted to do and just built them. Little brother wanted to try! The first project that we did was the spider’s web design challenge. For this project they read an article about spiders and their webs. Then the challenge was, “using toothpicks and yummy marshmallows, design and build a super cool and slightly creepy spider web.” They ended up building one that they called a bat mobile after trying out a couple of different ideas. Their favorite project so far was a flag building block challenge. Both of my older children love building with their Legos and being allowed to use them during school is a sure way to get their attention. My oldest son is also a flag enthusiast, so I knew this challenge would be a hit. They had to research the flags of five different countries and recreate them using only building blocks. I loved that they were dealing with history/geography while also working on the building/engineering skills. They decided they wanted to do the American flag but thought that it would be hard to get one with 50 stars, so they went with the historic Hopkinson flag which only needed 13 stars. In addition to those two projects they were able to make bugs from Lego’s, towers from dried cranberries, and more. We have also picked out our next two projects which are a house made from cards and a model of a lighthouse. We are hoping to go on a field trip to see a lighthouse next week and then complete the lighthouse challenge when we return home. While I would not want these challenges to replace my children’s entire science education we felt like there were a great fit for this semester. I think that they are perfect for those times in life when you need open and go science/ STEM activities or as a fun addition to your regular curriculum. It is also a fun way to get in a little bit of reading comprehension practice with the reading passages that go along with each project. 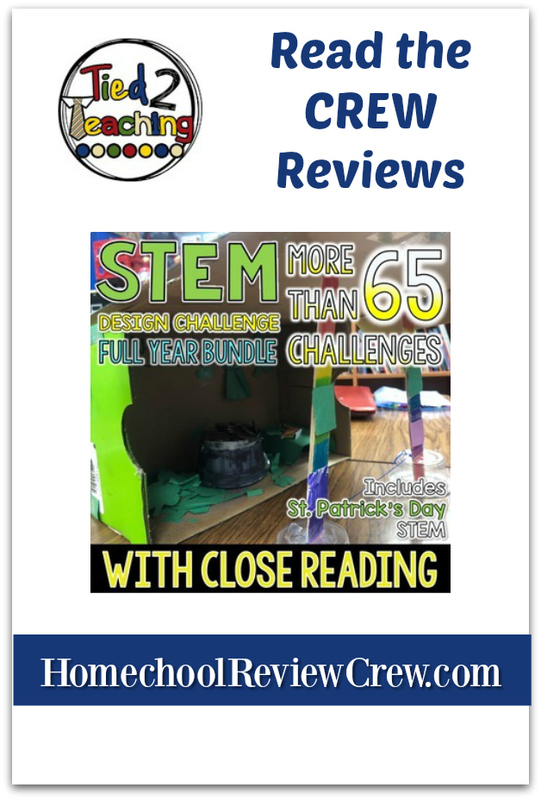 Visit the website to see a full list of the challenges that are included in STEM Activities, Full Year of Challenges with Close Reading. You can also click below to see all of the different reviews from the Review Crew to see which challenges each person chose and how they utilized them in their home. Our family does not watch a lot of television or movies. While each week is different, on a given week our television is not normally on more than once or twice and it is not unusual to go an entire week without turning it on at all. Since we watch so little television, I like to make sure that what we do watch is very high quality entertainment or educational material. Drive Thru History® “Acts to Revelation” is one of those programs that fits the bill of both educational and entertaining. Drive Thru History® is a company that we have come to love and trust and this newest production is no different. These DVDs could easily be assigned as schoolwork to coordinate with your Bible and/or history studies. However, my children love them and ask to watch them in their free time. Dave Stotts is funny or ‘punny’ as my children like to say but also does a great job providing an amazing amount of Biblical and historical knowledge in each episode. Last year we were blessed with the opportunity to review Drive Thru History®: The Gospels as a part of Drive Thru History Adventures. When the opportunity came to review Drive Thru History® “Acts to Revelation” , I knew it would be a great chance to continue with our studies. This time instead of getting the online subscription, we received the DVDs and study guide that are ours to keep and revisit as we wish. Drive Thru History® “Acts to Revelation” is an 18 episode series on three DVDs. In each episode, the host, Dave Stotts, goes on site to learn and teach. Being able to see the actual locations where Biblical events took place really helps make them real to my children. They know that Athens, Thessalonica, Corinth, and Malta are all real locations but it can be so hard to conceptualize. This allowed them to see what they look like today, see the historic sites, and visualize what it might have been like in the days of Paul. In this series, we start at Pentecost and follow along as Saul becomes Paul. Then we follow Paul through his missionary journeys. The final disk includes the martyrdom of Paul and Peter as well as John on the Island of Patmos and the book of Revelation. We have been going through the episodes together as a family and using the included study guide to help facilitate our discussions afterwards. The study guide is a great resource and is conveniently located inside the DVD case. The study guide includes beautiful pictures, a summary and discussion questions (and answers) for each episode, and Bible readings for each episode. Since we watched the episodes together, I generally did not need the answers to the discussion questions, but they would be really helpful if you were having your child go through the series independently. The VW that my son liked so much! We watched two of the discs during our review period look forward to finishing the last disc over the next few weeks. Each episode is just under 30 minutes, includes a short review of the last episode and then moves forward in the story of the New Testament. My children would have binge watched all of them if I had allowed it, but we felt that this program was best utilized by watching one episode at a time and discussing it together before we moved on to the next episode. Included in each episode was the relevant scripture, a video or retelling of that part of the story, and the sights and information about the modern day place. For example, in one episode we heard a reading from Acts 27 and saw the story of Paul’s shipwreck on the Island of Malta. We then were able to see what modern day Malta looks like. They also included maps with most episodes to help you understand the geography of the locations that he was visiting in that episode. I recommend Drive Thru History® “Acts to Revelation” for any family that is looking to learn more about the Bible or wants a fun and entertaining series to watch together. We watched with children ranging from 4-12 and they all enjoyed it, but I would say it is probably best for upper elementary through adult to get the full understanding. 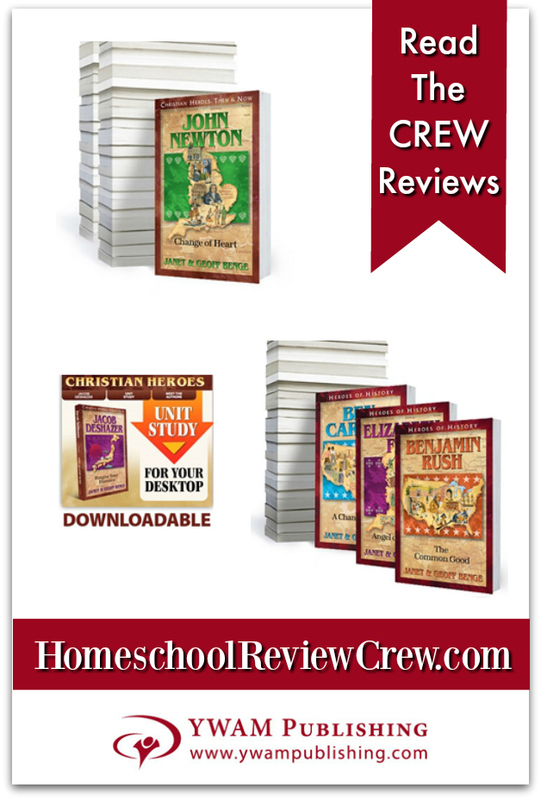 This is a great addition to your home school curriculum or your family Bible study time. You can also check our my review of their Drive Thru History ® Adventures program. 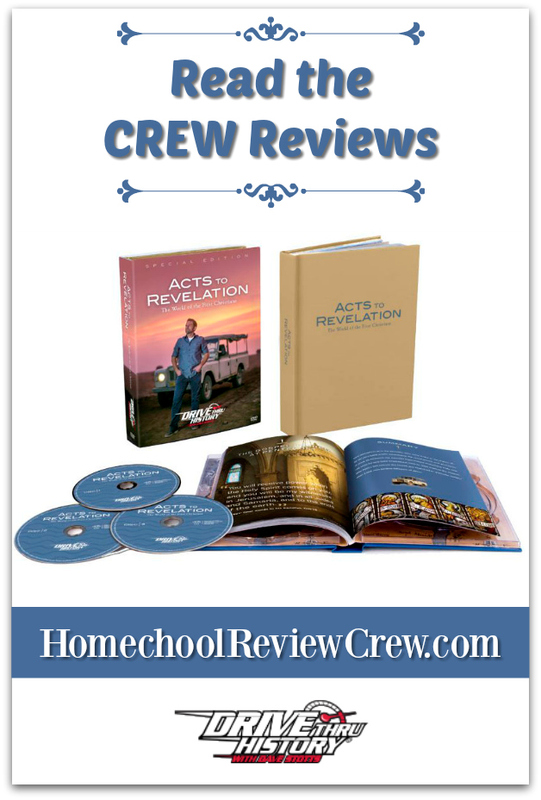 For more information on how other Homeschool Review Crew families used Drive Thru History® “Acts to Revelation” click the link below. All students’ need good study skills but knowing how to teach those skills can be a challenge. For some reason teaching study skills has always been a difficult abstract topic for me and with my oldest being a 7th grader I knew that it was something we needed to focus on. I enjoyed this opportunity to review the Victus Study Skills System particularly using Level 2: Elementary and Level 3 (Grades 5/6-10/11). This included a workbook for each level, a teachers manual, and a supplemental manual for the elementary level. I used level 2 with my fifth grade daughter and level 3 with my seventh grade son. The Victus Study Skills System is built on three major parts or cornerstones. First, “Where am I now?” This section focuses on learning strengths and an assessment of current study habits. Second, “Where do I want to be?” This covers creating a mission statement and setting goals. Finally, “How do I get there?” This is where you really get into learning new study habits and skills to help you achieve the goals that you created in the second section. This cornerstone focuses on things like time management, listening, note taking and test taking. There are examples for each section or lesson and then opportunities to practice. When comparing the elementary level with level 3 (5/6-10/11) you see a very similar layout of concepts, but the elementary level has shorter assignments and does not always go as in depth. Sometimes, the assignments are are entirely different. For example, in one of the lessons my daughter was doing a word search and my son was working on a calendar. There are other lessons where they both needed to answer questions or fill in the blanks but the elementary lesson has fewer questions. Lessons in which my daughter had the same but fewer questions were very easy to combine. I would teach the lesson and we would go through the work together. However, for some of them I felt like they really needed my individual attention because of the differences in the layout. In hindsight, when I use this program again, I will give an introduction the program together, but plan to spend time individually with each child. I liked how, instead of just telling them that note taking was a good study strategy, it went through and taught them how to take good notes. The book explained using short hand, keeping things brief, not needing to use complete sentences, and even how to determine which things are important to note. They then have the opportunity to practice taking notes using several sets of information. Once they have practiced, they can compare their notes to a set of well-taken sample notes on the same information. I also really appreciated how it showed them how to get from where they are to where they want to be. By starting with an assessment of their own learning styles, they can progress into self advocates and choose to study and use the strategies that work best for them. Another step that I think was really important was setting goals. If you do not know where you want to go, you will not be able to figure out how to get there. I think that helped them to understand why the study skills that they learned in the the third part of the program were important. Overall, we enjoyed this product but I do feel that it is worth noting that while they say you can teach multiple levels at a time, I found it very difficult to teach both Level 2 and Level 3 together. The overall topics were similar but the activities and such were different enough that it became confusing for my students. I recommend considering individual times for different levels. If you had multiple students on the same level, I think it would work fine with group instruction. The other thing that I would note is that while they say it is a five hour course, it took us significantly more than 5 hours to work through the course. That might change somewhat if I was not trying to do two different levels at once. The extra time is not a big deal in a home setting like ours, but an important consideration for planning if you are using it for a larger time bound setting like a co-op. I think that the Victus Study Skills System is a good system to teach study skills and help students understand the importance of those skills. I love that it helps each child look at themselves as individuals and teaches them a variety of tools and strategies that they can work with to best meet their individual learning styles and goals. There is also a primary level (K-2) and a college level that we did not use at this time. 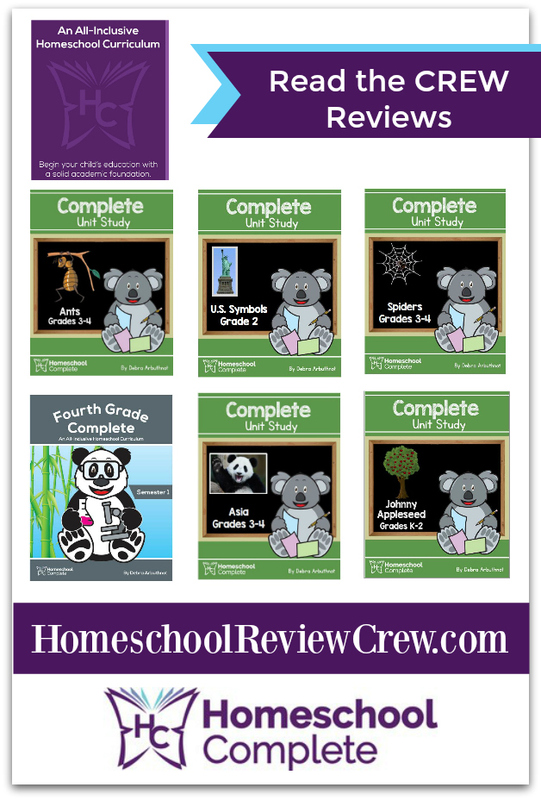 If you would like to find out more about the other levels or see how other families utilized the program, I encourage you to check out the other Review Crew reviews using the link below.